Potrei cantare la stessa canzone, ma sul tasto Caps Lock. A volte anche altri tasti sembra siano prossimi ad incepparsi, ma con un po’ d’insistenza riprendono a funzionare. Anche il mio MacBook Pro ha poco meno di un anno. I can plug my phone into my MacBook Pro charger and it works perfectly. Now I only need to bring one power cable to the café instead of two and I can charge my computer or my phone interchangeably. This is so nice! But this goes both ways. I can just as easily plug the MacBook Pro into the same USB car charger that I use for my phone. 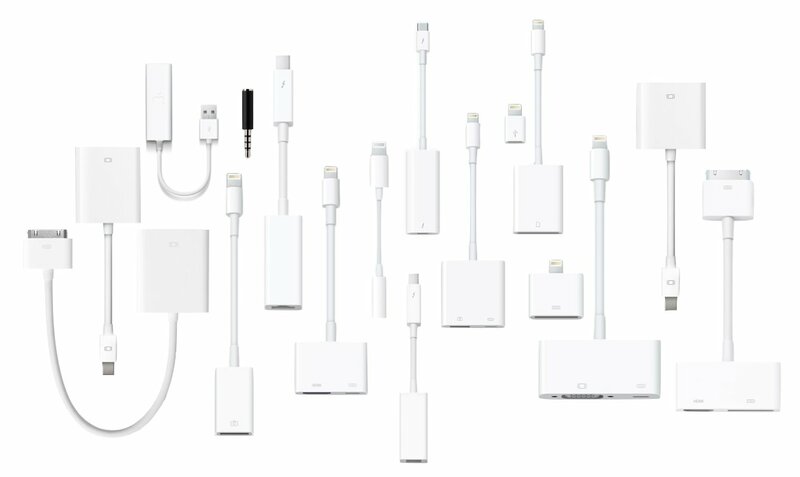 Apple was famous for their ecosystem integration. But out of the box you can’t plug a new iPhone into a new MacBook Pro. Absurd. Fire Tim. The days of the sub $1,000 Mac are done. I thought the Air would stick around for another generation because of this price tier, but then I thought about it more carefully. Low-cost PCs make almost no sense anymore. People who need the power of macOS are becoming a smaller group with every passing year. Prices will continue to reflect the shrinking market. Apple has an entry-level machine for people who are budget constrained, and it’s only $599. It’s called the iPad Pro. That machine does everything the target audience for an 11-inch Air or 13-inch Air would need and more. The MacBook and MacBook Pro 13 with no Touch Bar will cover anyone else, albeit at a slightly higher cost. The price you pay for needing more power than the average person. Pretty soon, the only people who need macOS will be certain kinds of pros. So it’s pro machines from here on out. And those pro machines are going to keep getting more expensive. Don’t worry; you won’t be upgrading them very often. Here’s my interpretation of this phenomenon: Apple and Microsoft have both come to terms with the fact that people are simply never going to buy PCs — whether in desktop or laptop form, running Windows or macOS — in the old numbers that they used to. Computers are just too good nowadays, most users are already satisfied, and so the market for new PCs inevitably shrinks. And when you can’t have growth in total sales, the logical move is to try and improve the other multiplier in the profit calculation: the per-unit price and built-in profit margin. That’s been Apple’s approach for a while, and now Microsoft is joining in. Stephen Hackett trova la nuova offerta di Apple abbastanza confusa. Forse Pro e non Pro non ha più senso: l’unica distinzione che rimane (o rimarrà) è in termini di dimensioni dello schermo — perché tutti i PC saranno per Pro, mentre per l’utenza consumer c’è l’iPad. Oltretutto, Apple non ha nemmeno menzionato l’iMac, il Mac Pro o il Mac Mini, mentre l’Air resiste ma senza alcun aggiornamento. È possibile che Apple smetta di produrre desktop? Nessun desktop può, almeno per ora, utilizzare la Touch Bar come sistema di input. The notebook line is pretty confusing right now. There are several machines — ahem, MacBook Air — that seem to exist to hit a price point. I understand and respect that, but I am already dreading offering buying advice over the next year. Desktop Macs didn’t get a single mention, or a silent hardware update after the announcements were done. While last-minute rumors claimed that the iMac wouldn’t be ready in time, it — and the Mac mini — would have been well-served with CPU bumps and Thunderbolt 3. Why can’t Apple leave the light & thin to the consumer line of notebooks, and offer pro notebooks that follow a more ‘function over form’ approach? What once was a clear distinction between ‘consumer’ and ‘pro’ machine, has now become something more like ‘regular’ versus ‘deluxe’ machines. Nowadays, a professional computer shouldn’t be constrained by a maximum of 16 GB of RAM. I know a few people who are barely comfortable with 32. Considering the non-trivial investment when you purchase one at its maximum tech specs, these MacBook Pros are supposed to last a few years. The difference between being the leader and the challenger is apparent in the two products introduced this week. The Surface Studio is a dramatic rethinking of the desktop computer. Also, the particular niche it targets — “creatives” in music and the graphic arts — is the exact one that Apple saw as its high-end core when it conceded the hopelessness of overtaking Microsoft on the basis of its operating system alone. And Microsoft wants to hit the classic buttons once defined by Apple’s fingerprints: lust-worthy design; painstaking attention to details; a sorcerer’s swoop of delight. Just check out its striking video for the Surface Studio — it is so influenced by Apple’s playbook that I’m surprised there’s no Jony Ive narration. Apple claims that its new Macbook Pro is defined by a similarly impressive technological feat. And yes, the Touch Bar seems a genuine innovation, though I’m not yet sure it’s a successful one; I’ll need to use it over an extended period of time before making that judgement. But two things about it do seem clear. First, Apple has really dug its heels in on the belief that touch screens do not belong on desktop and laptop machines. The second is that Apple is continuing a near-decade-long process of making its PC operating system act like a phone. Forse i nuovi MacBook non hanno più il suono d’avvio, il che è una cosa tristissima. The Touch Bar is not the answer to “How do we bring touchscreens to the Mac?”, because that question is not actually a problem. The Touch Bar is the answer to “These keyboard F-keys are cryptic and inflexible — what can we replace them with that’s better?” That’s an actual problem. Ho letto molti confronti fra il Surface e i nuovi MacBook Pro, e la conclusione sembra essere: guarda quanto è “nuovo” il primo, e guarda quanto sia prevedibile e banale il secondo. Seppur il Surface Studio sembri bellissimo, vorrei provarlo o leggere delle recensioni prima di esprimermi — sia perché sembra un prodotto mirato verso un’utenza specifica più che un generico PC, sia perché Microsoft è molto brava con i concept, un po’ come Google a stupire con prodotti innovativi, che poi nell’uso quotidiano o nei dettagli si rivelano pieni di lacune e frustranti. E comunque, avete provato Windows recentemente? Ho avuto a che farci lo scorso anno per l’università — cose che diamo scontate su Mac continuano ad essere complicate su Windows. Come scrive Ben Brooks, e come disse Steve Jobs, il Mac è un “camion”: non aspettatevi rivoluzioni. The reason people stay with Apple is not because of lock in — no that just makes the decision easier — they stay because it’s still vastly superior to all other options. This new MacBook lineup maybe be disappointing or confusing to people, but that’s only because they’ve come to expect magic with each new launch. But the truth of the matter is that it’s a laptop, and as much as you disagree, a laptop is not the future of computing, it’s the ancient hold over. It’s the truck, as Steve Jobs famously said, and I just heard a commercial for an actual new truck — they were touting an all new stronger steel bed. And so, in that way, woohoo for the ToucBar. Apple didn’t launch a crappy product, they launched devices which still are the best option on the market. Which still have top notch industrial design. Which still have the best operating system. Which still have the best third party apps on any desktop platform. Which are still the best option for most people in the world. And frankly, if you can’t see that, then you need to go buy a non-Mac laptop and see for yourself how bad it truly is. The interaction models are also different than they are on an iOS device. On an iPad, every touch interaction is 1:1 — your finger directly manipulates stuff like volume sliders. On the MacBook, you can touch the volume button and begin sliding right away, providing you with an off-axis slider in plain view. In other words, you should be able to single tap and slide many interactions on the toolbar, while not obscuring your view of the control or content (in the case of photo thumbnails). This does not work on a touch screen. 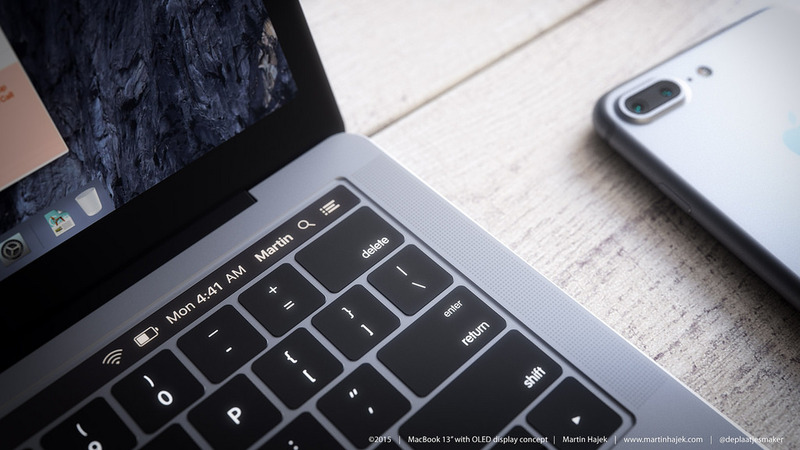 The Touch Bar—located above the keyboard on supported MacBook Pro models—is a Retina display and input device that provides dynamic interface controls for interacting with content on the main screen. These controls offer quick access to system-level and app-specific functionality based on the current context. For example, when the user types text in a document, the Touch Bar might include controls for adjusting the font face and size. When the user views a map, the Touch Bar could give quick, one-tap access to gas stations, lodging, and restaurants near the displayed location. A Touch ID sensor to the right of the Touch Bar allows fingerprint authentication for logging into the computer and approval of App Store and Apple Pay purchases. L’ultimo aggiornamento a macOS Sierra, rilasciato da Apple l’altro giorno, contiene delle immagini che spiegano come utilizzare Apple Pay con il prossimo MacBook Pro, che viene rappresentato con una striscia OLED in cima alla tastiera (sulla quale circolano rumors da mesi), al posto dei tasti funzione. As has been rumored, the touch panel, which may be called the “Magic Toolbar,” appears to be contextual, changing based on what’s on the screen. In the images, Apple Pay dialog is depicted, asking a customer to confirm a purchase with a finger on the panel. It appears Touch ID is built into a nearly-invisible power button located next to the display. Stando ai rumors, i prossimi MacBook Pro avranno un pannello OLED (e touch) in cima alla tastiera, dove al momento ci sono i tasti funzione — F1, F2, etc. Il pannello cambierebbe contenuto in base all’applicazione aperta — o alle impostazioni dell’utente — comportandosi un po’ come la barra del menù di Mac OS. Martin Hajek ha provato a immaginare come questa barra potrebbe funzionare, realizzando dei design basati su quello che sappiamo. Consistent with previous rumors, the article says the updated notebooks are thinner and will include a touchscreen strip along the top of the keyboard, which is expected to present functions on an as-needed basis that fit the current task or application, as well as integrate Touch ID to enable users to quickly log in using their fingerprint. Sarebbe anche ora. Mi chiedo anche quando i MacBook Air usciranno di scena. Resistono solo per il basso costo, ma rappresentano una via di mezzo non più necessaria fra i MacBook e i MacBook Pro. Dell XPS 15z: un nome molto attraente, oltre che facilmente memorizzabile, per un computer che a voler esser maligni vi si potrebbe far notare quanto vagamente somigli al MacBook Pro. Ma noi siamo siamo buoni: non lo facciamo (ops…). Lo spot è stato visto, ed è attualmente ancora visibile, nell’homepage di Arstechnica. Si tratta infatti di uno di quegli spot pubblicitari interattivi che vengono inseriti da Apple nelle pagine web dei quotidiani o siti più visualizzati e richiesti in campo informatico. Questo, pur non essendo uno dei più originali ideati dall’azienda (ricalca molto infatti la versione classica, in onda in TV), è pur sempre carino. Il suo scopo sarebbe quello di mettere in luce il lato ecologico dei MacBook Pro. La rispettosità per l’ambiente di quest’ultima, in quanto ha una resistenza tre volte superiore a quella delle altre batterie in circolazione. I MacBook nuovi son belli, e proprio tanto carini. Peccato che nascondano una sgradevole novità che il signor Jobs al momento del lancio ci ha tenuto nascosta e che, purtroppo, li rende un po’ antipatici. La sorpresa confezionataci da Apple risiede nel connettore per monitor esterni, il DisplayPort, in cui è stato integrato un sistema di protezione che, attraverso il controllo dei dati in uscita, dovrebbe evitare che venga proiettato un film di cui non si dispone l’autorizzazione per la visione. Naturalmente questo sistema funziona solo con alcuni monitor: quelli che lo supportano. Se l’utente ha uno di questi non vi è alcun problema e potrà godersi anche su uno schermo esterno il suo film acquistato su iTunes se, invece, ne possiede uno non in grado di supportare tale tecnologia potrà gustare il film solamente dallo schermo del suo Mac. La soluzione per evitare tutto questo c’è e risiede nello scaricare film pirata, invece che acquistarli visto che, a differenza di quelli scaricati legalmente, non hanno alcun sistema di protezione e alcuna restrizione, permettendo all’utente di usufruirne liberamente. Gli ci vorrebbe un applauso ad Apple per questo sistema anti-pirateria che finisce praticamente con il favoreggiare la pirateria. Se poi si pensa che il CEO di Apple, Steve Jobs, è quella persona che, come ci ricorda Attivissimo, non poi molto tempo addietro aveva scritto una lettera in cui auspicava la scomparsa del DRM dai file audio/video perchè questa è chiaramente la migliore alternativa per i consumatori, scende un velo di tristezza che ci porta a chiederci cosa gli sia successo, se abbia improvvisamente cambiato idea o se, forse, non ci abbia semplicemente ingannati. Convincere loro a distribuire musica senza DRM ad Apple creerà un mercato della musica realmente interoperabile. Ed Apple lo abbraccerà a cuore aperto.